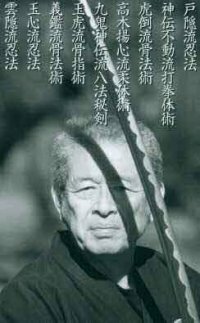 Dr. Masaaki Hatsumi, founder and grandmaster of the Bujinkan Dojo, has been awarded the International Culture Award by the Japanese government. The award, the highest honor given for cultural exchange, was presented to Dr. Hatsumi by a member of the Imperial Household on November 22, 1999. "This award is a great honor for the Bujinkan," stated Dr. Hatsumi at the presentation ceremony. Dr. Hatsumi is the 92nd recipient of this prestigious honor to date. 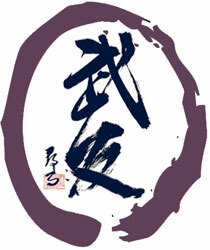 Dr. Hatsumi was nominated for his cross-cultural leadership in martial arts instruction. Blackbelt magazine's 1986 Instructor of the Year, Dr. Hatsumi is best known for "opening the doors" to Ninjutsu to non-Japanese. Thousands of eager students from scores of countries also converge on Japan for training with Dr. Hatsumi each year. 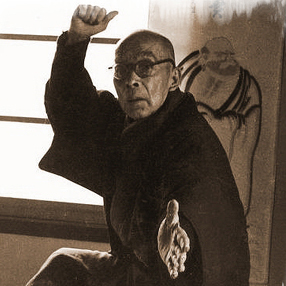 Dr. Hatsumi founded the Bujinkan, which means "Divine Warrior Hall," in honor of his teacher, Toshitugu Takamatsu. 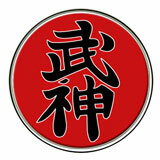 The nine warrior schools of the Bujinkan hail from the ancient battlefields of Japan; six are old samurai schools, the remaining three are schools of the often misunderstood ninja. These historical roots provide a mine of rich teachings that are equally applicable to modern situations. Dr. Hatsumi preaches the importance of understanding the principles underlying techniques, not just the mechanics--things that will serve the greatest benefit in the flurry of a real fight. This practicality is the Bujinkan's biggest draw for tens of thousands of practitioners around the world, many of whom are involved with law enforcement or personal security. Dr. Hatsumi, a former bone-setter, has penned over a dozen books, and is the former chairman of the Writer’s Guild of Japan. Among Dr. Hatsumi's other many honors are the title of Knighthood from Germany, Honorary Doctorate degrees in both Human Sciences and Philosophy, Honorary Texas Ranger, and numerous Honorable Citizenship awards from locales as close as Los Angeles, California to as far as Dublin, Ireland. Dr. Hatsumi's work has also been recognized by numerous government and law enforcement officials, such as the FBI and the NSA.